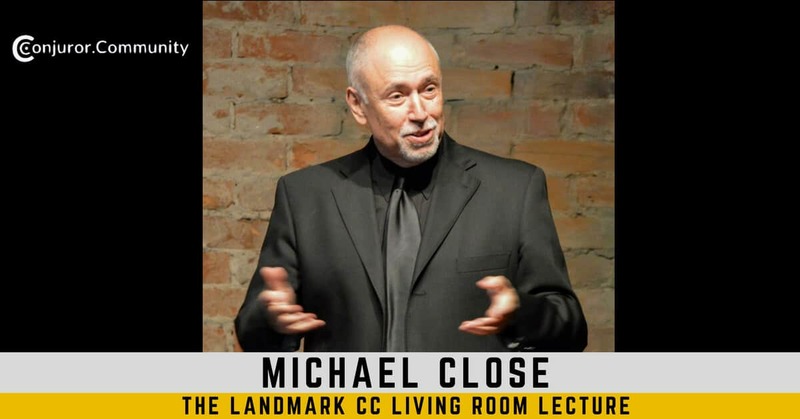 Michael Close is truly amazing! I don’t often share tricks I just saw on youtube, but in this case, I have to make an exception. This is a clip of my friend magician Michael Close—around 1997—doing a miracle that just made my day. Watch it for yourself. I bet it will make yours too! How to Choose Your Stack – so you know what to do BEFORE you decide, and how to make sure you’re THRILLED with your choice for years to come! NOTE: 90% of the time, even passionate magicians make this decision without the information they need to succeed. This one topic will save you years of frustration! Strategies for Memorizing a Deck – Michael will share a variety of ways to memorize a deck, so you can pick the best one for you. Secret Practice Drills – Michael reveals little known tactics that get superior results quickly. He’s going to share them all—and you’ll be thrilled by what you discover. Killer Tricks and Routines – Chosen and designed by Michael especially for the memdeck newbie—so you can turn your new tactics into real-life tricks—and get your show on the road! Michael will lay out the whole path—so you know each and every step to take! The Wishing Trick – Looking for a miracle ‘thought-of-card’ revelation strong enough to close your set? Look no further! The Impossible Search Engine – Your spectator thinks of ANY card—and performs the miracle themselves…in slow motion! Red-Blue Mama Fooler – Michael will also lead a complete masterclass on this easy-to-do professional card miracle. You’ll have your audience gasping in amazement. But that’s just the beginning. 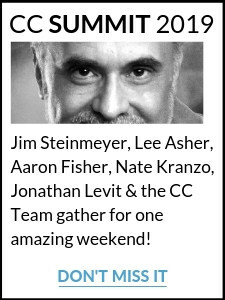 We designed this Special Event to offer great tricks—and even more…to fuel your path to new heights of astonishment. Have you ever tried to read a classic book on ‘magic theory’—only to come away with a headache? You’ll discover The Magic Ideal – a simple, proven path to unlocking these mysteries—so you can transform ‘theory’ into show-stopping miracles. Penn & Teller: Fool Us…Demystified! For the last several years, Michael has worked (with our friend the Great Johnny Thompson) as a chief magic consultant on the hit show Penn & Teller: Fool Us. Michael will share behind the scenes info you can’t find anywhere else. What does it take to get on the show? How do you make magic that really ‘works’ on TV? Penn & Teller: Fool Us is the best magic on TV in past decade. With Michael, we’ll explore WHY that is—and discover the secrets that drive the world’s most astonishing magic. The Professor, Dai Vernon, often admonished magicians to “be natural.” But what does that really mean? Michael will make this ‘advanced concept’ easy-to-understand with clear language and examples you can use immediately. This promises to be one for the books. You can join us live, or watch anytime. 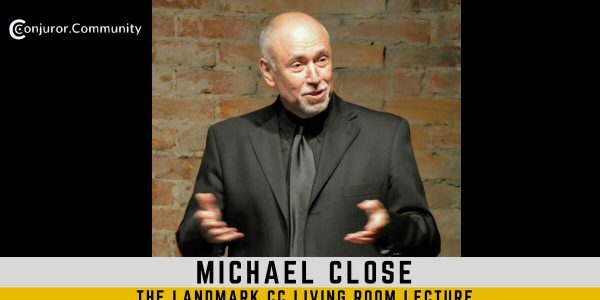 And right now, you can get total you can get a full month of Conjuror Community—including the Michael Close CC Living Room Lecture—for just $1.